Emetophobia and the fear of being sick. 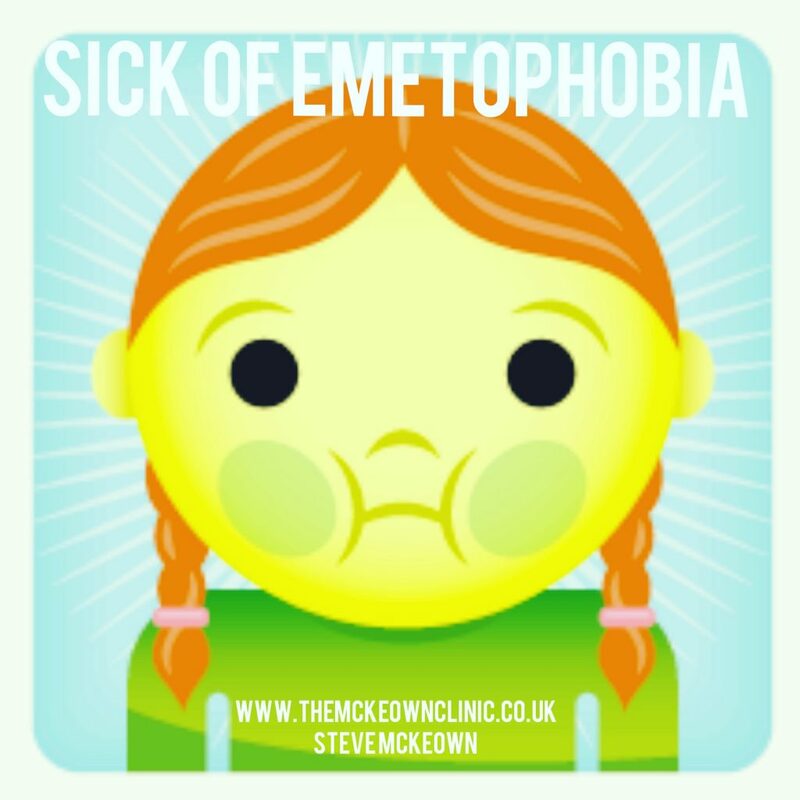 Help for Emetophobia in St Albans Hertfordshire. Unless you are a sufferer of emetephobia you will have no idea of how debilitating and life controlling it can be. The actual word an be broken down as there are 2 key components; its root in from emesis which is the act of vomiting then ‘phobia’, usually defined as a mainly inexplicable, illogical and exaggerated fear of someone or something. Add the two together and etemophobics are perceived to have an intense anxiety or fear of vomit or vomiting. You can also split emetophobia down further and place sufferers into sub categories. Some of the clinically recognised sub categories are; those with an overall fear of vomit or vomiting, those terrified of vomiting when it public, those who cannot bear to see people vomiting or the vomit itself and those who fear the actually nauseous feeling that is an indication in most people that vomiting is imminent. Things get complicated when it comes to trying to pinpoint what actually causes emetophobia. As will most other phobias around there is a distinct lack of hard evidence to detail and define the complex components which come together to result in emetophobia. Despite so many not knowing that emetophobia even exists it is in fact one of the world’s most common, and like most other phobias it is believed, although not proven, that is stemmed from the childhood experiences of the sufferers. That said, other sources have suggested that people can develop emetophobia at any age or stage in their life, but what we do know for certain is the serious affects it can can have on peoples daily lives. Emetophobia can develop if a person suffers a particularly distressing experience relating to vomit or it could occur as a response to an event, or events, that have happened in someone elses life. We have mentioned previously about how debilitating emetophobia can be, and those who suffer from it face problems in every aspect of their lives. Emetephobics lives revolve around avoiding any situation that has the slightest relation to vomiting. They often shy away from social gathering were alcohol will be drink and develop a fear of foods which they believe can induce vomiting. Those who suffer from emetophobia in its most extreme form will even avoid taking medication or going to hospital in case they come into contact with, or even smell, vomit. As with all phobias the severity can differ from person to person. Who those suffer from the mildest form of emetophobia may avoid alcohol to ensure they themselves will not vomit. At the other end of the scale women who long to be mothers have avoided being pregnant due to the fear of morning sickness. The serious lack of hard evidence relating to emetophobia is frustrating for both the emetophobic and those around them. Many believe, for example, that they have not been diagnosed with the condition due to such a lack of information, whilst others believe they are hopeless cases as there are currently little help or cures available. The fact is that there is help available for those suffering from emetophobia, including herbal remedies, hypnosis, counselling, evidence based pychotherapies etc.